Advantage Electric - Electrical contractor in the Greater Toronto/Hamiltron Area. We offer 24/7 emergency services. Where Quality and Service are Always Our #1 Priority. Advantage Electric has earned the trust of our clients through nearly three decades and knows, through our professional manner and detail-oriented work, we can earn yours, too. Our goal, from day one, has always been to respect our client, understand their electrical needs, and complete the job through precision, good work ethics, and using only quality products. We’ve earned our reputation for excellent customer service. Find out for yourself by contacting us today! Serving the GTA since 1993, Advantage Electric has become a household name. We have built our company from the ground up into a large, dependable, respected team of licensed electricians who strive to give every client exceptional service and craftsmanship. We’re not only a leading electrical contractor, but our electrical solutions for your residential, commercial, industrial, or security system needs are always at the forefront of technology. We offer electrical services for residential, commercial, and industrial properties, as well as supplying and installing security systems for your home or business. Regardless if the job is changing light fixtures or installing a full electrical package for a new home, we get it done right the first time. Want a FREE quote on your next electrical project? Click here, and we’ll get right back to you! Advantage Electric strives to offer only quality products, superior craftsmanship, and excellent customer services…all while making it fit your budget. Contact us (link to contact page) or get a free quote (link to quote page) on your next electrical project! We’re also on call 24/7 for any emergencies. You can call us or book an appointment here. Advantage Electric strives to offer only quality products, superior craftsmanship, and excellent customer services…all while making it fit your budget. Advantage Electric has been my go-to for home electrical services for more than 15 years. Always reliable, knowledgeable, professional, friendly and reasonably priced. I wouldn’t trust anyone else! 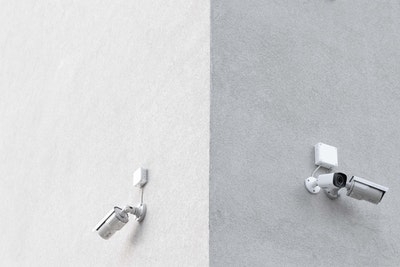 CCTV surveillance isn't just for businesses! Read more to learn of the numerous benefits of installing home security on your property can offer you! Receive your FREE quote and see what Advantage Electric can do for you.